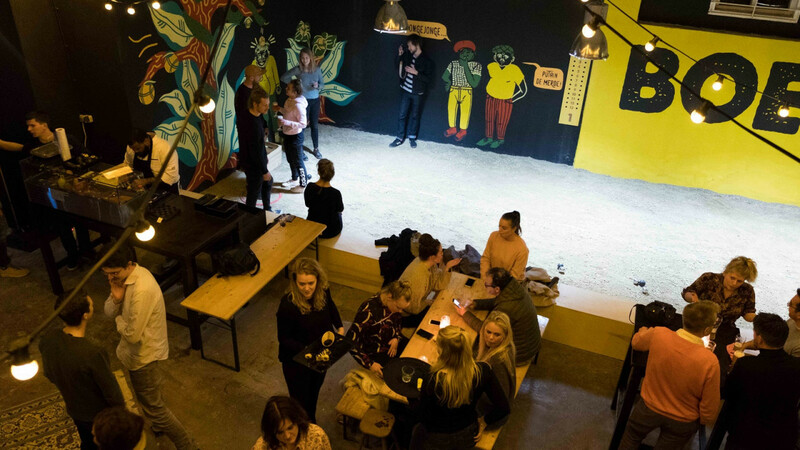 Anyone out there interested in a beverage and a little bit of physical activity can head to BOEL, a boules bar on the Ebbingestraat in Groningen which opens on Friday, 5 April. According to the Groninger Internet Courant, the bar on the outskirts of the Nooderplantsoen featuring an indoor boules court is the brainchild of Merijn Goris, who is a big fan of jeu-de-boules. “There is a growing trend at bars and cafes for people to be able to do an activity instead of just sitting around a table”, Goris says. Goris and several of the bar’s other founders form Boilermaker, a Groningen-based company the specialises in beer and spirits. Aside from drinks and games, BOEL will also serve food: culinary blog De Smaak van Stad reports that the former chef at DOT will be joining the kitchen at the boules bar. Sikkom writes that similar bars have already proven popular elsewhere in the Netherlands, as well as in Paris where the game was born. Boules is the name of a number of different lawn games (like bocce) that involve throwing heavy balls at a smaller target ball.